Are you going anywhere for spring break? Maybe you're taking the kids to DisneyWorld or visiting mom and dad or treating yourself to a fun getaway. Check out this cool infographic from Swagbucks on what 19,000 Americans are planning for their Spring travel. Let us know what you're up to this spring in the comments. 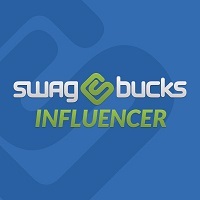 and sign up for Swagbucks to get paid for making your voice heard in surveys like these and getting Cash Back while you shop online for all your travel essentials!